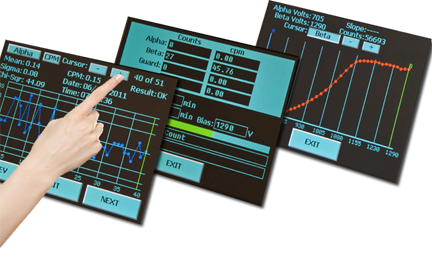 The new touch technology facilitates setup, operation and maintenance of these sample counting systems in an optimal manner. The screens are designed to provide a more intuitive connection to users and administrators alike. Commonality of screen layout between systems further enhances the ability to easily work with different Protean sytems. Protean's new touch screen technology makes counting samples just a touch away!